THIS EVENT WAS HELD AT AN INDIAN GAMING CASINO ON TRIBAL LAND. IT DOES NOT FALL UNDER THE JURISDICTION OF A MANDATORY CSAC REGULATED EVENT. 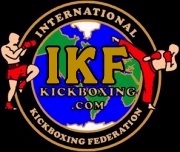 HOWEVER, AT THE REQUEST OF THE CASINO AND THE PROMOTER, THE IKF DID SANCTION AND REGULATE THIS EVENT. SINCE IT WAS DONE IN CALIFORNIA, WE HAVE LISTED IT HERE ALONG WITH OTHER IKF CA EVENTS. Defeated **Alex Love (Eureka, California, USA, 0-1, 180, 5'7", 6-19-91, Self, (707) 616-1182) by TKO at 1:05 of Round 1. Alex Love has been issued a 30 day no training and 45 day no competition Medical Suspension until until June 3rd, 2015. Defeated **Adam Brazil (Eureka, California, USA, 0-1, 161.4, 5'10", 5-26-83, Self, (707) 298-0967) by TKO at 1:12 of Round 2. Adam Brazil has been issued a 30 day no training and 45 day no competition Medical Suspension until until June 3rd, 2015. AND **Sam Nunez (Cresent City, California, USA, 0-0-1, 182.2, 5'9", 12-23-82, Ron Otremba, (707) 460-0235) fought to a Majority Draw. Judge Matt Yates 28-28 Even. Judge Eric Bruce 29-28 Nunez. Judge James Bartley 28-28 Even. Defeated Josh Gay (Rio Del, California, USA, 2-6, 145.2, 5'6", 3-9-85, Pueo (Parson) Balliett, (707) 223-1089) by Tap Out at 2:12 of round 1 by Rear Naked Choke. Defeated **Ryan Tennison (Eureka, California, USA, 0-2, 164.4, 5'10", 12-15-83, Self, (707) 367-9000) by TKO at 1:43 of Round 1. Ryan Tennison has been issued a 30 day no training and 45 day no competition Medical Suspension until until June 3rd, 2015. Zac Brown has been issued a 30 day no training and 45 day no competition Medical Suspension (After TKO - Knee Injury) until until June 3rd, 2015. Defeated Nick Gifford (Redding, California, USA, 3-2, 159.6, 5'6", 8-6-93, Braden Clements, (916) 517-2538) by Unanimous Decision. Defeated **Angel Espino (Canby, California, USA, 2-1, AMMA 3-0, 172.4, 5'10", 1-14-92, Enoch Wilson, (503) 443-5581) by unanimous decision, 29-28 on all 3 judges cards. Judges: James Bartley, Ernie Alber & Matt Yates. Defeated Michael Cody Jr. (Mckinleyville, California, USA, 1-1, 185, 5'9", 1-20-90, Self, (707) 385-2420) by TKO (Strikes) at 1:06 of Round 1. Michael Cady Jr. has been issued a 30 day No Training Medical Suspension and a 45 day no competition Medical Suspension until June 3rd, 2015. Cory Hall won the title by default on the scale when Jeremy Ashley could not make the Title weight of 185 (Came in at 188.6) and choose not to lose any weight. A three round fight took place at a catch weight as agreed between fighters and trainers. Defeated **Cory Hall (Antioch, California, USA, 6-5, AB: 4-4, 184.6, 6'2", 4-26-84, Paul Hinke, (707) 624-9912) by Unanimous Decision. Defeated **Sam Cid (Keizer, Oregon, USA, 6-3, 154, 5'11", 1-20-88, Derick Bartlemay, (503) 999-6408) by Split Decision. Judge: Matt Yates 49-46, Joseph James. Judge: Eric Bruce 48-47, Joseph James. Judge: James Bartley 47-48, Sam Cid. Sam Cid has been issued a 30 day training suspension and a 45 day competition Medical Suspension until June 3rd, 2015, due to cut to both left and right brows requiring sutures. Fighter must be cleared by physician prior to future competition. Defeated Anacleto Inong (Hoopa, California, USA, 4-2, (All Fights Verified From YT) 153.6, 5'8", 8-24-91, Sam Jones, (707) 601-5103) by Unanimous Decision.